The recent rebirth of mainstay Bondi Trattoria is a story of new beginnings. For the restaurant and its customers, it’s a new life after 30 years of loyal service. For Joe Pavlovich, the former executive chef to Luke Mangan’s restaurant empire, the beachside establishment is the first restaurant that is truly his own. “After 30 years of being run and loved by the same owners, they really didn’t want it to go to a fast food joint. We haven’t really changed that much: it’s still a trattoria, it’s still Italian, but we have freshened it up. That’s what they wanted,” says Pavlovich. A handful of framed photographs that have hung in the restaurant since it opened still remain, as does an updated version of an old signature dish: angel hair pasta with barely touched tuna. “But the menu is completely different, completely our own,” says Pavlovich. Soft pastels complement the ocean outside and dark wood finishes make the restaurant feel like a provincial home. The crockery is mismatched and looks at home next to elaborate, heavy glassware. Bondi Trattoria’s menu is weighted towards the start of the meal, with an extensive antipasti list. For the taramasalata, Pavlovich has sourced white roe – which is creamier and milder compared to the more common pink. He tops it with bottarga, lemon oil and fennel pollen, and serves it with grilled flat bread. Alongside classics like salumeria and oysters, Pavlovich serves raw diamond clams and Moreton Bay bugs. The bugs are roasted in a chilli and garlic butter sauce and come with buffalo mozzarella. Further down the menu are the classics – fish and chips, and steak, chips and Bearnaise – and pizzas made from a sourdough that Pavlovich started fermenting a few weeks before opening. Roast carrots come drizzled with honey on a bed of roast saganaki cheese and topped with moreish granola. Golden beets are served with blue cheese, pear, macadamias and maple syrup. Fellow ex-Mangan employee Alasdair France curated the venue’s wine selection. The bulk is Italian in origin, and those few that aren’t come from Australian vineyards growing Italian varieties. These are complemented by a cocktail list with classics and modern updates. There’s a Bondi Negroni (West Winds gin, Applewood red okar, vermouth and orange bitters) and a Tratt Bellini (prosecco, Aperol, Pavan, gomme, peach and lemon). Bondi Trattoria also hopes to make the most of their view and has started serving breakfast. This menu offers the usual suspects, but with options to upgrade. Add grilled prawns to eggs Benedict and crabmeat to smashed avocado. Restaurants open in Melbourne all the time, but sometimes one stands out – for its food, its design, its individuality. We’re lucky to have had four open in the past few months. If you’re dining out this weekend, make sure it’s at one of these. Etta is made up of two polished spaces – one a bar, one a dining room – separated by an open kitchen. Both rooms centre around large, expensive-looking benches made from Australian marble. Iva Foschia, whose IF Architecture designed the new fit-out for Cutler & Co. and Attica, designed the 80-seat bistro. She restored some of the space’s inherited features (the place used to be a fish-and-chip shop) including the stone floor in the front section and hardwood floorboards in the back. New Zealand-born chef Hayden McMillan (formerly of The Roving Marrow) runs the restaurant with his wife Dominique Fourie McMillan, and Hannah Green. Green and McMillan used to work together at Neil Perry’s Rosetta, and would regularly eat together at The Roving Marrow, where the group concocted their own future diner. McMillan’s seasonal menu draws on flavours from all over the world, similar to, but a little more approachable than, Roving Marrow. More than half of the menu is vegetarian. Dishes include tamari- and brown-sugar-roasted buttercup pumpkin served with a dairy-free sunflower cream. And Flinders Island lamb marinated in a cumin and fennel seed dry rub, then cooked on a Japanese-style binchotan charcoal grill. Kisume isn’t like Chris Lucas’s other restaurants. There’s no thumping music. No deafening noise. No waiters dressed in casual clothes. No riotous colours on the walls. This is not another Chin Chin, or another Baby, or Hawker Hall. That’s Lucas’s goal here – a restaurant of “international status” that will “redefine higher-end dining” in Melbourne. 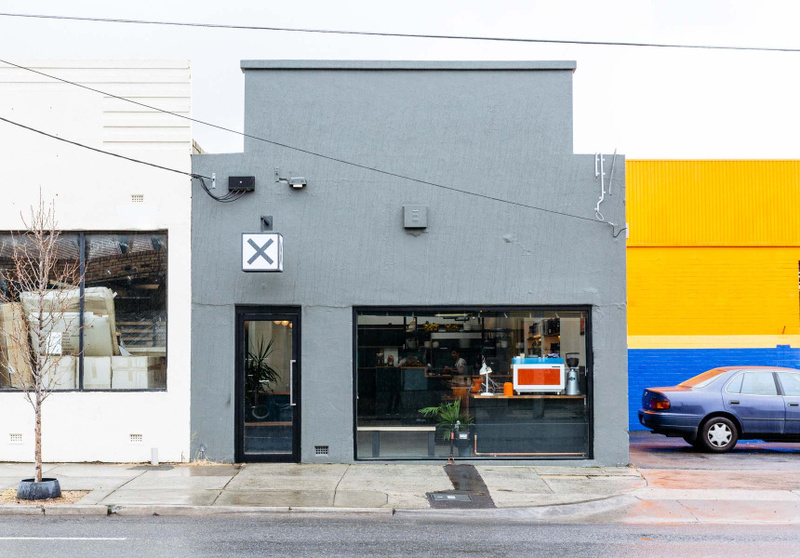 We haven’t seen many things this physically large and conceptually ambitious in Melbourne. It makes the Lucas Group’s other restaurants seem modest. There’s “a really big-city, New York-style” sushi bar on the ground floor, with an intimate view of Japanese brothers Yosuke and Shimpei Hatanaka carefully slicing bluefin tuna, salmon, prawns and sea bream from Australia and New Zealand. The windowless basement is the buzzing part of the restaurant, containing an open kitchen, a large semi-private nook and tables packed more densely than anywhere else. Dine on Wagyu tartare, maple- and soy-glazed Berkshire pork ribs, prawn and foie gras “potstickers” and a bento box of colourful, almost too-beautiful-to-eat sushi and sashimi. And After dinner, head to the top floor for a night-cap (we recommend the yuzu cocktail) at the Chablis Bar. (Kuro Kisumé, also on the top floor, offers 12-seat, $175 per head kaiseki-style omakase (chef’s choice) with sushi master Moon Kyung Soo. It opens in mid-June). For anyone who’s ever waited for a table at Tipo 00, Osteria Ilaria is a welcome addition to the family. But this isn’t Tipo 2.0. “No pasta,” says chef and co-owner Andreas Papadakis. “Well, we might do one pasta course, but it won’t look like your typical bowl.” So apart from grin-inducing, pillowy gnocchi, and paccheri with crystal prawns, the menu looks like something you’d find at a modern osteria in Italy (though other European cuisines get a look in). This loose approach extends to the wine. The list ventures outside of Italy to Portugal, France and even Georgia. There’s lamb cutlet with a blood-red spicy peperonata you’ll end up eating by the spoon, zucchini flowers, and salumi to start, then duck, pork and whole whiting for mains. There’s a big focus on bread, too, with a few different options including a 48-hour fermented sourdough and a gluten-free grain bread. Like Tipo 00, Osteria Ilaria has been designed by co-owner Luke Skidmore’s architect sister, Briony Morgan. It’s contemporary but rustic and warm, with bare white-brick walls and timber tables. The building dates back to 1887, and the dining room makes a feature of some of those historic architectural details, such as arches. Make sure to look down when you walk in the door: the floor has been hand-painted by Aaron McKenzie Design in the vein of a European-style mosaic in turquoise and red. Technically, this restaurant isn’t new, but the Cutler & Co that reopened in March is totally unlike its predecessor. Andrew McConnell enlisted Iva Foschia of IF Architecture (who also did the fit-out for his wine bar, Marion) to helm the remarkable redesign, which has enabled the space to move seamlessly from a light, airy daytime diner to a sultry dinner spot at night. The front bar is now a destination in its own right, with bronze detailing and a large open kitchen where you’ll see McConnell and head chef Chris Watson most nights. Settle in after work at one of the high tables and feast on a platter of fruits de mer (seafood is the focus up front) and a cocktail. Two moody, luxurious dining rooms (one with a French-made fireplace) fill the rest of the space. Think suede banquettes you sink into as soon as you slide in, and touches of slate-flecked stone and green granite. After steaming-hot bread with sweet, house-cultured miso butter, try the smoky, meaty Jerusalem artichoke topped with burnt onion. Don’t miss the charred maron, cooked over a Japanese charcoal grill and served with grilled cos and seaweed powder – it’s so good it will make you laugh. Our advice: go with the chef’s selection if you can. Cutler & Co is located in an old metal-works factory, and Foschia’s refurbishment ensures that history remains a protagonist. She’s ripped out part of the back wall and put in windows that let sunlight drench the room during the day, and which provide a Mary Poppins, industrial-style silhouette of old chimneys at night. The boys known for inventive barbeque are opening a late-night bar and pizza-by-the-slice shop in Preston. It’s going to be a big year for Dexter. 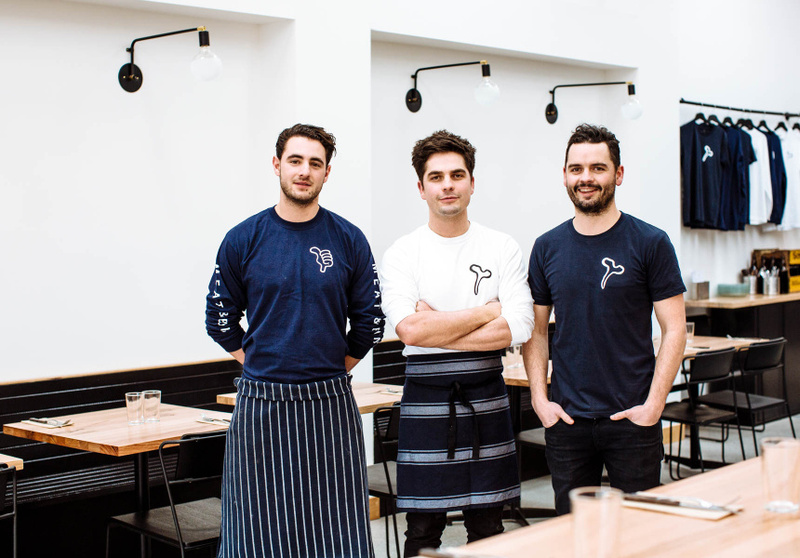 The Preston barbeque joint’s three-storey city venue, Dexter Meat, Liquor & Roof opens this summer, and before that, the team is opening a new place in Preston. But it’s not barbeque. Takeaway Pizza, due to open at the end of winter, is really two venues in one: a local pizza spot, and a bar for late-night drinks and dancing on the weekends. The bar will open opposite Dexter on High Street and serve American-style pizza, as well as entrees and snacks from the cocktail bar. It will be licensed until 1am on weekends, something that’s lacking in the area. The old embroidery warehouse will seat up to 50 people, with outdoor seating on a front deck. Inside, an old narrow showroom with a low-trussed roof will be home to a long bar serving wine, beer and cocktails – classics and more wacky options such as a Popcorn Coco Libre with buttered rum, salted popcorn and candied lime, served in a movie cup. Out the back is a large factory space, “which will be perfect for us to turn into an industrial kitchen to service all three venues,” says Goldblatt, referring to Takeaway Pizza, the new city spot and the original in Preston. Before opening Dexter, the three owners had been torn about whether to go with a smokehouse barbeque or pizza concept. Owners Goldblatt and brothers Sam and Tom Peasnell all have experience making pizza. In London, Goldblatt worked for Homeslice, and in Melbourne all three boys worked for Pizza Relgion in Hawthorn East. The shopfront window will serve 22-inch Coney Island, New York-style pizza by the slice. There’ll be up to four flavours at a time, with a full menu of 15 whole 12-inch pizzas too. The pizzas will showcase Dexter’s meat expertise, as well as its flair for invention and breaking tradition. “They’re not wood-fired, but we’ve been creative with how we want to deliver that smoky flavour and get the fire back in the pizza,” says Goldblatt. The team has been experimenting with hot-smoking and cold-smoking flour, tomatoes and other veggies. Classic toppings will still be on offer, but with a slight twist. “We like to take meals that exist and turn them into a pizza,” says Goldblatt. He uses the example of breaking down the components of a Sunday roast as a concept for a topping. “Maybe the roasted potato flavours will turn into the pizza base sauce, and we’ll build the pizza up from there”. While starters, bar snacks (think a playful take on an American corn dog in the vein of Dexter’s signature meat doughnut) and house-made charcuterie will be available alongside pizza, Goldblatt makes clear the venue is a bar first, with bar-style service and walk-ins only. “We won’t have knives and forks set on the table either,” he says.